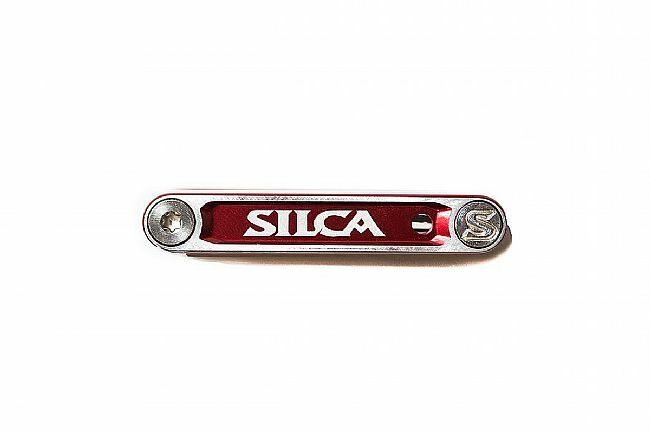 Silca's Italian Army Knife Multitool - Nove is super lightweight, featuring 9 mid-length double chromed tools, stainless steel hardware and bushings, and forged aluminum side plates containing rare-earth magnets for integrated chain-connector storage. Sturdily and neatly packed inside the Nove are hex wrenches 2-6 and 8, Torx 25, a Philips 2 head screwdriver, and a flat head screwdriver. 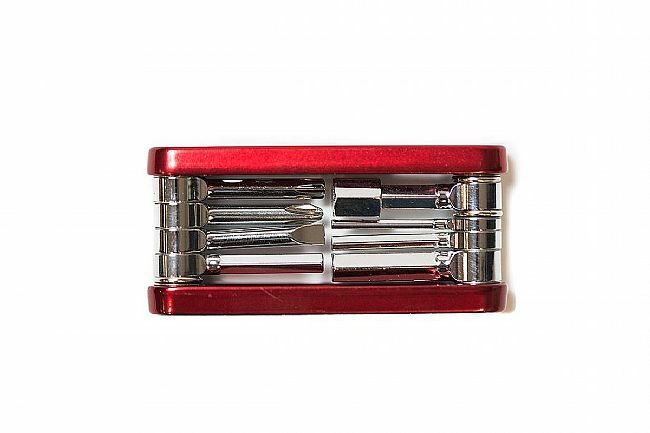 The 8mm hex is magnetically attached to the 5mm to optimize the use of space. 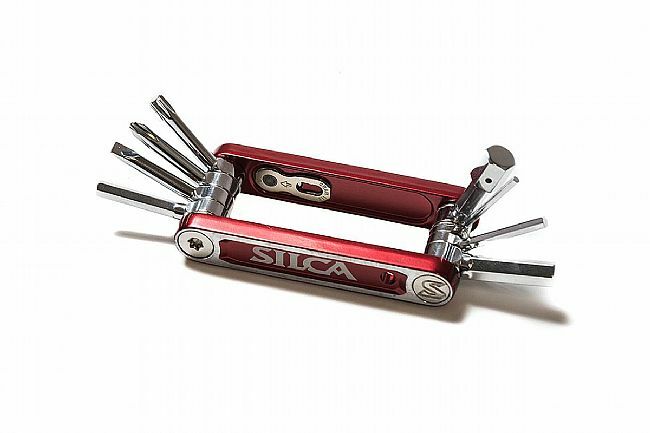 9 mid-length double chromed tools. Stainless steel hardware and bushings. Tools: 2-6 & 8 hex, Torx 25, PH2 and Flat drivers. Integrated magnetic side plate chain-connector storage.